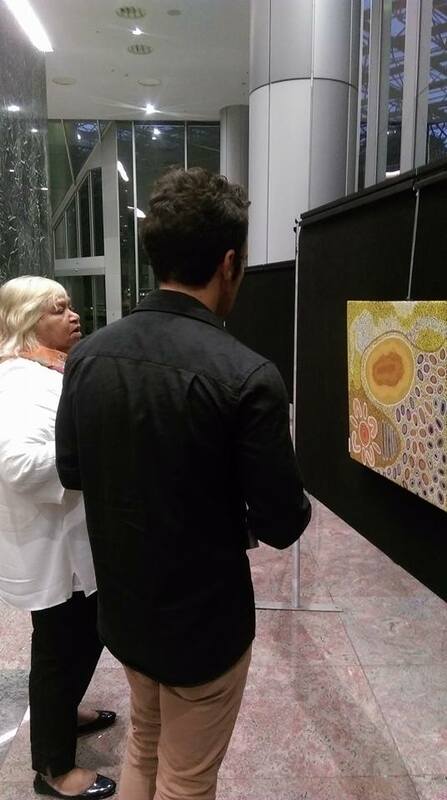 Shared Sky stems from a vision by the Square Kilometre Array (SKA) to bring together under one sky Aboriginal Australian and South African artists in a collaborative exhibition celebrating humanity’s ancient cultural wisdom. 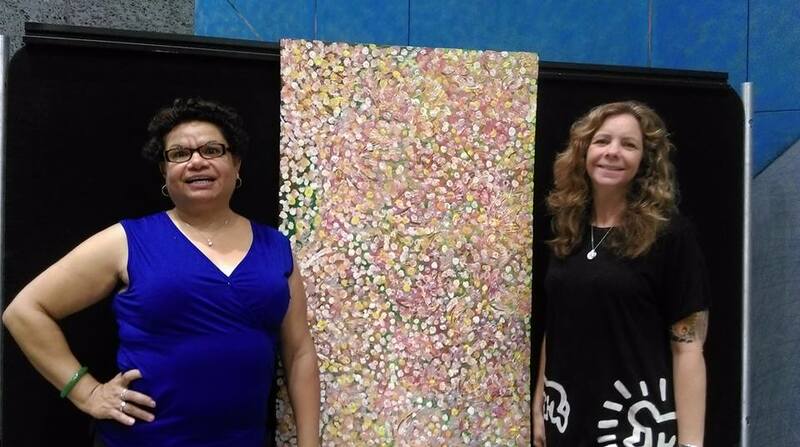 Yamaji Art staff Paige Finci , Lakiesha Winter and Nikki Dickerson worked tirelessly with the Artists on the Gurawu Collection Exhibition. 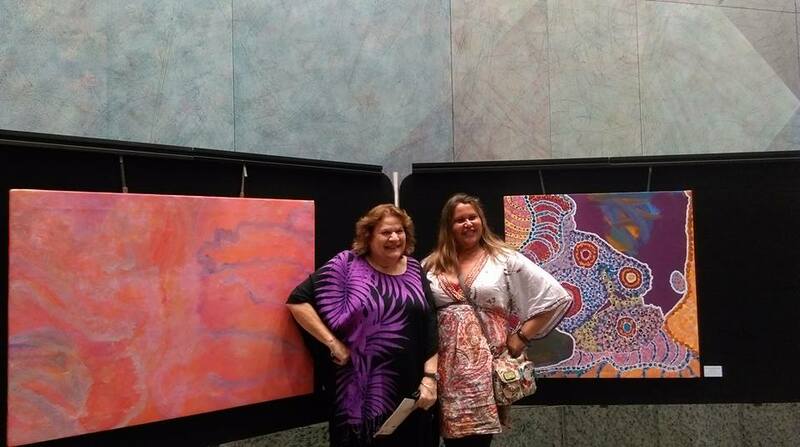 The exhibition was opened by Jessica Machin the CEO of Country Arts WA. It runs from 8 March to 18 March 2016.